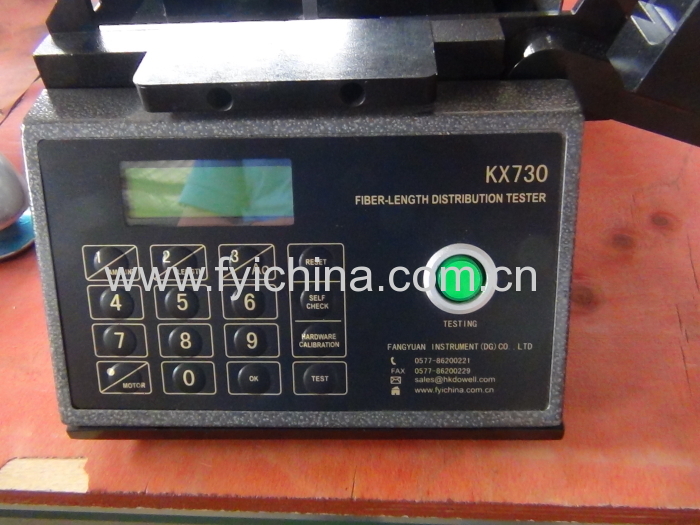 KX730 Fiber fibrograph Testing Equipmentis used to determine cotton fiber mean length, upper half mean length and uniformity index by photo-electric method. This instrument is designed according to random distribution theory of cotton fiber length, and the theory of that light intensity through fiber bundle has a negative relation with fiber number within fiber bundle cross section. Use PC on-line technology, and get cotton fiber length shadow curve, fiber mean length, upper half mean length and uniformity index, etc. 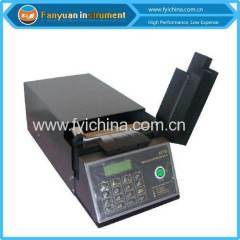 Special designed sampling device, easy to sample. Fast test speed, test one test result only need 20~30s. C. Our Fiber fibrograph Testing Equipment adopts top quality material including imported parts, most of the critical component are adopting first class brand . 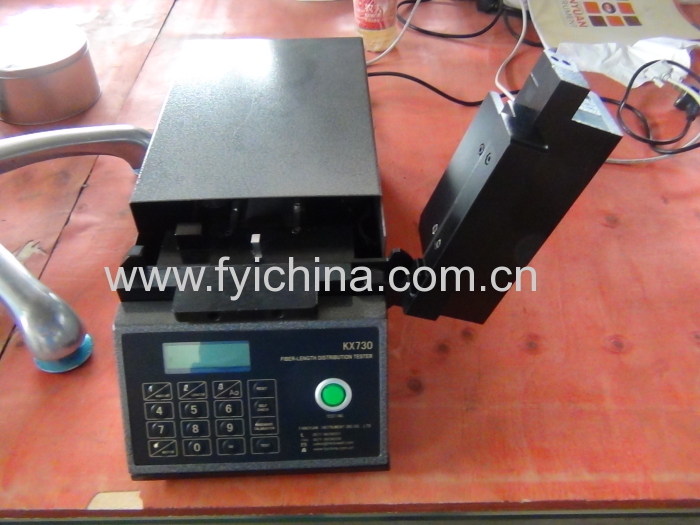 user manual of Fiber fibrograph Testing Equipment can help you operate our machine easily. A:Each Fiber fibrograph Testing Equipment must be carried out 100% quality examination and test when shipping and delivery goods.